Check this out. 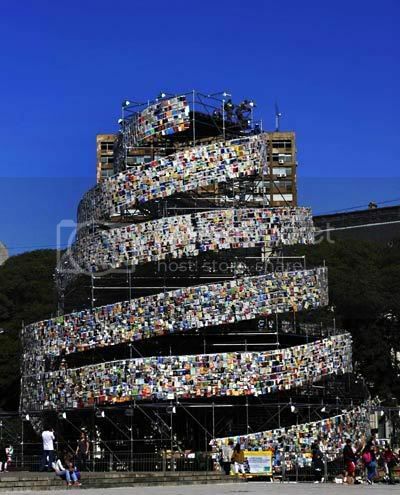 It's a tower made of books, erected in Buenos Aires in celebration of being made this year's "World Book Capital" My only concern is how those books will hold up under the weather, but I suppose they are probably not meant to last. Wow, I'm trying to imagine how that would look outside my window and I'm coming up with a blank lol. That is awesome and the first thing I thought about was the weather as well! I know, I wonder if it's possible to walk up it (it kind of looks like it has a spiral path upwards) or if it's only viewable from afar.